My son, David, suggested that I write a blog about the Emlenton Mill and since this is February I thought I would start by writing about sound and recording, which I love. February, you see, is the month of FAWM (February Album Writing Month). For more information check out http://www.fawm.org. I figure that writing a blog every day is a little like writing a song every other day, except much easier. So, welcome to the Emlenton Mill blog. I’ll try to work in the Mill along with my love of recording. The Emlenton Mill, built in 1875, houses a mill museum, an ice cream shop, a bunkhouse hostel, an Emporium that sells antiques, crafts and books and a number of secrets. One of these secrets is a recording studio in a gain bin. 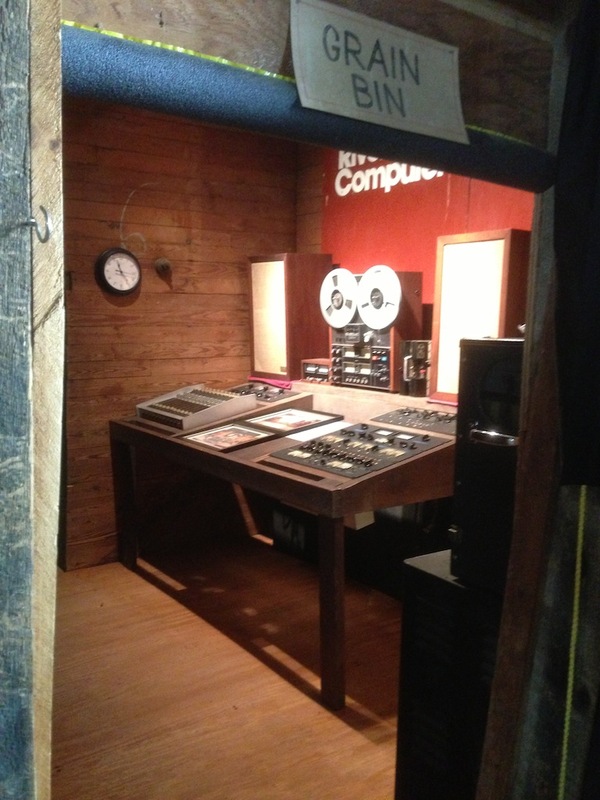 Hidden away in a converted grain bin, on the third floor of the Mill, is a recording studio control room from the 1970s. It was originally located on the music practice floor of the College of Fine Arts at Carnegie Mellon University. It was built by myself and some friends from the campus radio station WRCT. But more about that another day. The Mill has a large number of grain bins which were used to store the different grains that were processed at the Mill. They vary in size from the size of a closet to the size of a railroad box car. The grain bin we chose for the studio is a small room located just off the main area of the third floor and required very little alteration. Most grain bins are built with sloped floors so the grain would gravity feed to the center of the bin where the output chute was located. This grain bin only required a new floor to support the studio. Filed under Grain Bin, Sound.